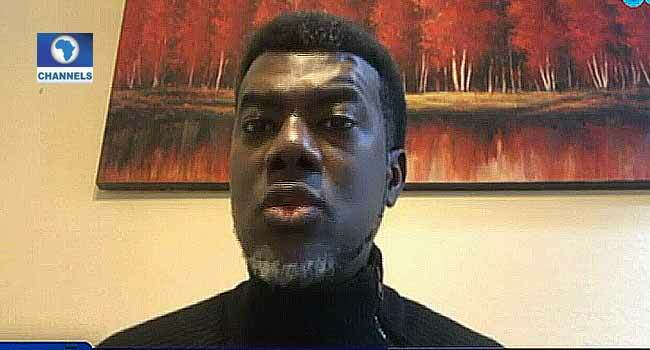 Reno Omokri an Aide to former President Goodluck Jonathan, has countered claims by Vice President Yemi Osinbajo, that the former President’s administration had shared about 150 billion Naira before the 2015 elections. Professor Osinbajo made the allegations while speaking on issues of corruption and past failures of governments at the 7th Presidential Quarterly Business Forum in Abuja. “Oil Prices were at an average of 110 dollars a barrel and only 99 billion Naira was spent on power, works and housing and in one day, 100 billion Naira was issued, and people essentially shared it and when we talk about our economy we talk about it as if it’s a normal thing, its abnormal,” the VP stated. Omokri who spoke on Channels Television’s Politics Today, Tuesday, however, stressed that the comments were “completely false” as no such money was shared. “The allegations that the Vice President has made are “completely false”. Saying that 143 billion was spent on capital expenditure in three years under Jonathan is a big lie,” he stressed. Speaking further, he poked holes in the anti-corruption fight of the Buhari administration, saying that despite its claims of winning the war, corruption had manifested itself more in the current administration than any other. “Every human institution has corruption but the Muhammadu Buhari administration has said that they are fighting corruption, if that is true, how come Nigeria made their best improvement in Transparency International’s Corruption Perception Index in 2014 under President Good Luck Jonathan when we moved eight places forward from 142 to 136 and then, how come Nigeria has made her worst ever performance in the Transparency International’s Corruption Perception Index under President Muhammadu Buhari when this year we have moved 12 places backwards from 136 to148,” he questioned. Making reference to some cases of corruption including the reinstatement and subsequent promotion of the former Chairman of the Presidential Pension Task Scheme, Abdulrasheed Maina and several others, Omokri said: “this administration is corrupt through and through” adding that the government indeed owes Nigerians a lot of explanations. He, however, noted that in 2014 1.2 trillion Naira was spent on capital expenditure in 2014 under President Jonathan. In a statement written earlier in response to the allegations, the former President’s aide clarified that “the money released was two billion Naira and it came from the Sovereign Wealth Fund set up by the Jonathan administration which the APC resisted and challenged in court. But despite the allegations, the Vice President in his address also admitted that corruption under the current administration has not been completely dealt with. He, however, maintained that if the nation sticks to a policy on controlling excesses and corruption in public finance, Nigeria would make the kind of progress it deserves to make. “I’m not saying the corruption under this administration has been completely dealt with, I mean, certainly not but where corruption has become systematic such as we have in our country today, you can’t deal with it in one fell swoop, it’s not possible,” he stated.